Benefits Of My Favorite Fruits! Fruits can provide essential nutrients, fiber and a host of other health benefits. If you enjoy fruits frequently, that’s great. our food preferences are based on taste, not nutrition, which is why fruit is such a great food. Fruit tastes sweet and interesting. In this post i will include my favorite fruits and thier benefits. 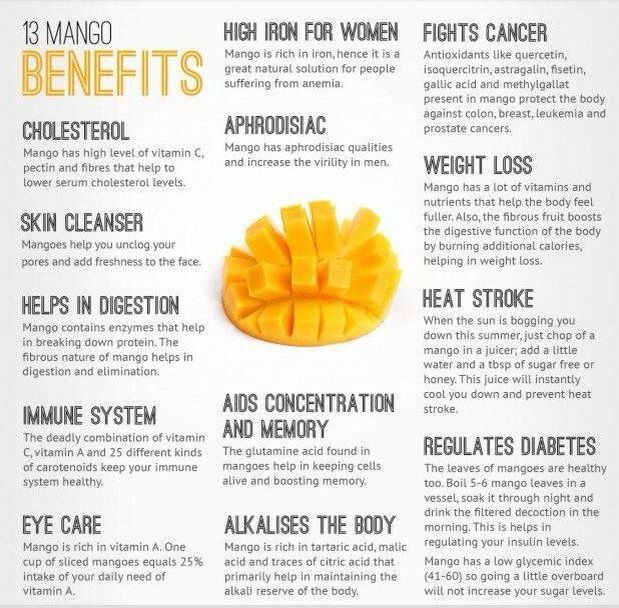 Mangos Are Amazing! Mangos are bewildering and when I start eating them all my senses are wiped out except taste. I Love Mangos. Mangos have high amounts of pectin, a soluble dietary fiber that efficiently contributes to lower cholesterol levels in the blood. Pectin can also help prevent the development of prostate cancer. Recently, studies at The Institute for Food Research discovered that a compound within pectin combines with galectin 3 (a protein playing a significant role in all the stages of cancer). The European Prospective Investigation of Cancer also has come up with a strong association between eating a mango and lowering the risk of cancer of the gastrointestinal tract. Can be used both internally and externally for the skin Mangos help clear clogged pores and eliminate pimples. One cup of sliced mangoes supplies 25 percent of the needed daily value of vitamin a , which promotes good eyesight and prevents night blindness and dry eyes. Strawberries are awesome because they have a delicious pure sweet and are not too sweet. That’s only for chocolate dipped strawberries. They are great for your sense of taste. Yummy! The amazing health benefits of antioxidant-rich strawberry include improved heart health, proper brain function, relief from high blood pressure, arthritis, gout, as well as enhanced eye and skin health. The polyphenolic content of strawberries makes them beneficial for improving the immune system, preventing various types of cancers, and reducing the signs of premature aging. this is without a doubt the BEST FRUIT EVER! smells so good, tastes awesome and its so JUICY! Papayas are a soft, fleshy fruit that can be used in a wide variety of culinary ways. A paste of fresh papaya roots can be rubbed onto the teeth and gums to get relief from toothaches. The bark of the tree, primarily the inner bark, is also an excellent remedy for tooth problems. Papayas can be great revitalizing agents, which is why they are used in many cosmetics. Also, papayas are used in homemade face masks by many women. The papain in them kills dead cells and purifies the skin. Papayas have been known to be effective against rheumatoid arthritis and osteoarthritis. One of the enzymes found in papayas, called chymopapain, has a significant effect on controlling rheumatoid arthritis and osteoarthritis. And there’s that. Heres the list of my favorite fruits and their benefits. Comment Below your favorite fruits.